Ride a bike: finally! my fondue dreams come true! finally! my fondue dreams come true! I have been craving fondue for weeks which is weird because I've only had fondue exactly once in my whole life. Tonight was delish. 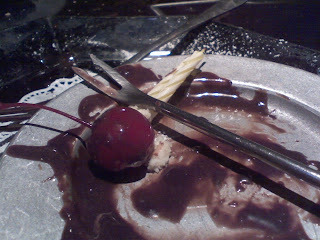 Not enough stuff to dip in the chocolate though...that part was over way too fast. Still. a great birthday!